The former UFC Welterweight and Middleweight champion Georges St-Pierre announced his retirement from MMA at a Thursday morning press conference, after failing to get a chance to meet the current Lightweight king Khabib Nurmagomedov in a super-fight. Many members of the MMA community paid tribute to the retired legend. But Nick Diaz heavily trashed his old rival Georges St-Pierre. The two met in the main event of UFC 158, on March 16, 2013, where “GSP” won via unanimous decision. Few days later, a controversial video was release. UFC official Mike Mersch informed Nick Diaz that despite the weight limit was 170 lbs, it would be tolerated as long as fighters weigh “less than 171 pounds”. On April 11, 2013, Georges St-Pierre admitted to the reporter Marc Tougas of La Presse that he probably weighed around 170.4 pounds for the clash against Nick Diaz. In May 2018, Nick claimed St-Pierre poisoned him before their UFC 158 fight. Georges St-Pierre was later appeared on Joe Rogan Experience podcast, where he fired back at Nick’s claims. 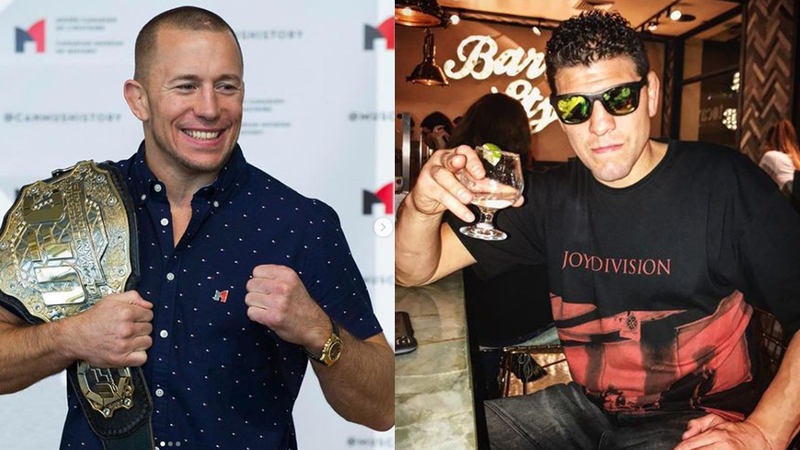 St-Pierre trolled Diaz, describing how he “poisoned Nick Diaz and bribed the athletic commission before their fight”.